Don’t let this herbivore fool you. Though appearing meek and gentle, if he feels threatened, he will run you down and use his nose horn in ways you won’t soon forget! This tough Triceratops decal shows the dinosaur’s small size but brute strength. The docile defender is the perfect choice to protect your sweet child from anything that may go bump in the night. 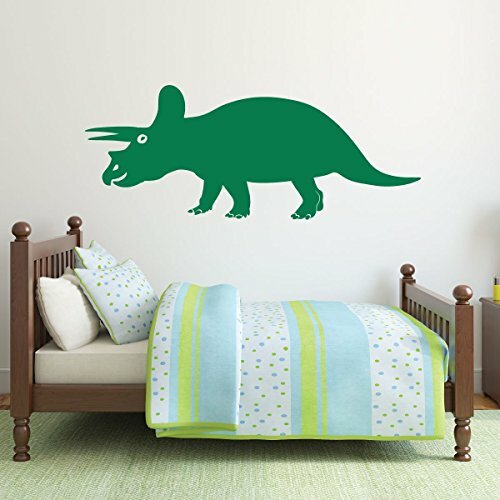 This adorable Triceratops would love to tip-toe its way into your child’s heart. This is sure to happen when you personalize their favorite dinosaur with their name! 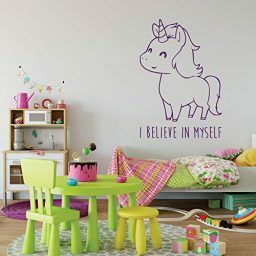 Great for a bedroom, playroom, or nursery, this design is detailed from the tiny toenails to the all-seeing eye. Bring history to life for your son or daughter, or special someone. If you had three horns on your face, we’d call you Triceratops, too! 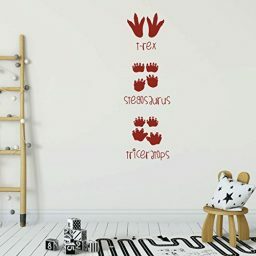 This is a fun design to stick in your child’s bedroom, playroom, or nursery. Triceratops is a well-known and beloved dinosaur for children from preschool ages and up! This cute dinosaur design has a friendly expression with detailed facial features, outlined toe nails, short legs, and squat body. You can get this image in a color and design that best fits your space! And the greatest thing is the ability to add a loved one’s name on it. Bring the Triceratops back from the Cretaceous period and thrill your little paleontologist today! 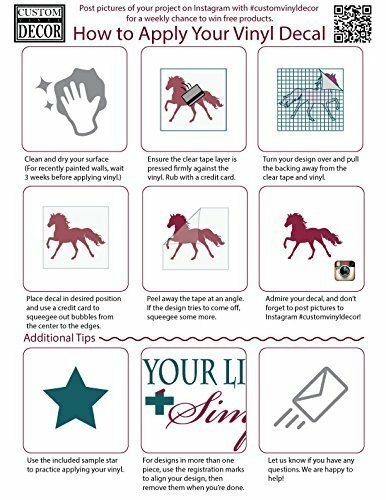 Decals make a great gift for a special personal in your life. They come with easy application instructions, and they peel off cleanly without damaging your walls when you are ready to change your decor. 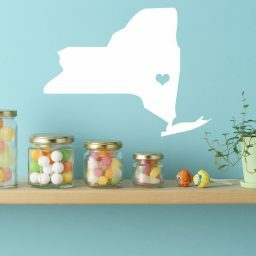 Delightful decorating has never been so easy! 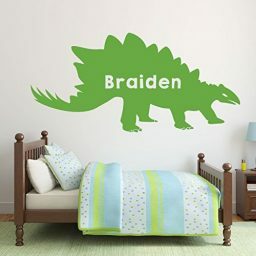 Are you looking for a customized gift for a child, relative, or friend? Do you want to jazz up your laptop or your car windows? 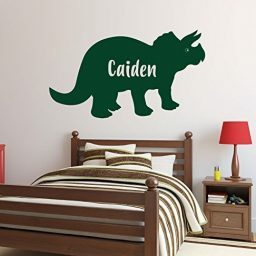 Maybe you’re planning a wedding or decorating a nursery, or perhaps you simply want to add a unique, personalized touch to your living space. 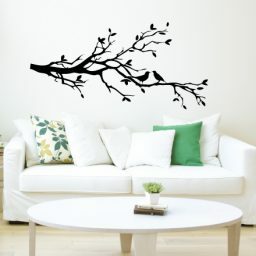 Whatever your vision, our vinyl decals provide you with an inexpensive and creative way to make your living space your very own. 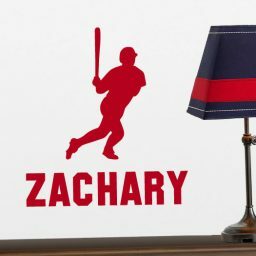 People are using their personalized decals from CustomVinylDecor.com to decorate their homes, schools, offices, reception centers, and more! 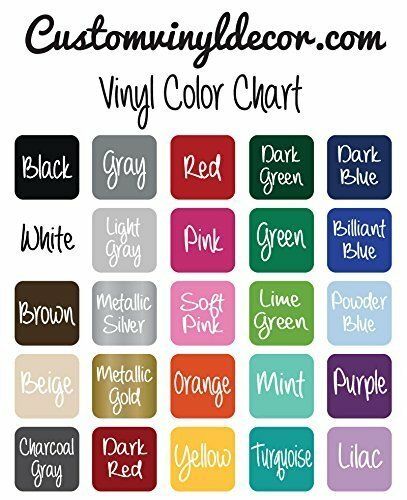 Customize your designs by choosing the color and size that best matches your space and decor. Our wide range of sizes ensure you will get the look you want to achieve – in your living room, bedroom, kitchen, nursery, office, or anywhere else you can dream! Many of our designs let you personalize the image with a name, an important date, or other text that is meaningful to you or your loved one. 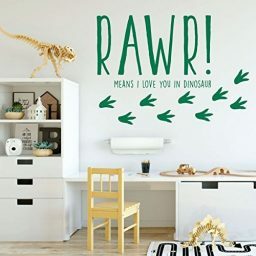 Each order is custom-made by our network of hard-working, stay-at-home moms — who love to decorate with vinyl, just like you do! Our level of attention to detail when making your special order will match your expectations of quality. If you’re looking for a specific design and can’t find it here on our website, feel free to contact us with your idea. It’s very likely that our team of designers can create exactly what you’re looking for!